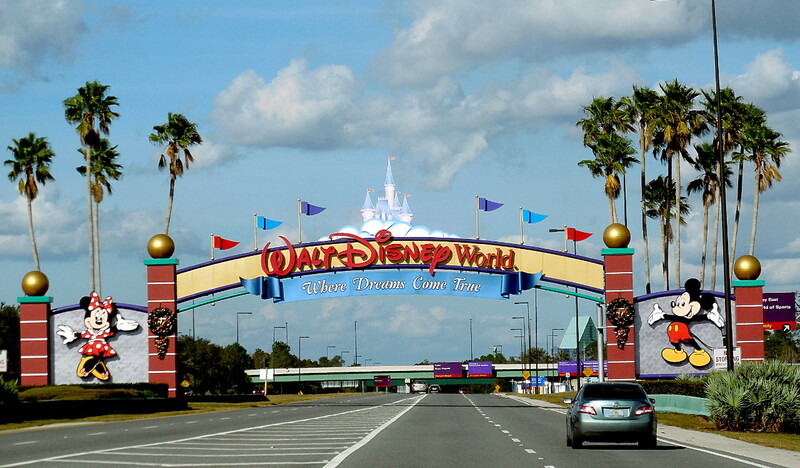 Walt Disney World Resort is a large resort / theme park complex located to the southwest of Orlando, Florida. Walt Disney World Resort is one of the main areas that NavFile has coverage on. NavFile is commited to researching and providing quality information on the resort. Information on the resort is currently in the process of being posted to the site. Above Walt Disney Word Entrance Sign photo by David Aughinbaugh II and NavFile. Walt Disney World Resort is a part of The Walt Disney Company and was originally the idea of the company's founder Walter E. Disney or Walt Disney. The Disney World project was announced to the public in 1965 at a press conference in Orlando, Florida. At the press conference, Walt Disney announced that Florida would be home to a large development that his team would create. Walt Disney planned to create a new resort area that would not face some of the problems that Disneyland in California faced. A big part of the new “Florida Project”, as it was called, was EPCOT, which was Walt Disney’s primary focus for the Disney World project. In a very unfortunate turn of events, Walt Disney passed away in December of 1966, a few months after the taping of the Disney World and EPCOT introduction video. After Walt Disney’s passing, Walt Disney Productions, the predecessor to The Walt Disney Company, made a strategic decision not to purse the full EPCOT project that Walt Disney set out to build. The would company end up focusing on the entertainment side of the Disney World project. “Walt Disney World is a tribute to the philosophy and life of Walter Elias Disney ...and to the talents, the dedication, and the loyalty of the Disney organization that made Walt Disney’s dream come true, May Walt Disney World bring Joy and Inspiration and New Knowledge to all who come to this happy place …a Magic Kingdom where the young at heart of all ages can laugh and play and learn – together.” Dedicated this 25th day of October, 1971 – Roy O. Disney - Walt Disney World Dedication, placed on a bronze plaque located in front of the flagpole in the Magic Kingdom. Walt Disney World Resort encompasses more than 25,000 acres and is enclosed within two cities that are controlled indirectly by The Walt Disney Company's Parks and Resorts division. Bay Lake and Lake Buena Vista are the two cities that the resort is located in. Contrary to advertisements and other information sources, the park is not actually located in Orlando. Orlando is used to market the general area that the resort is located in. Walt Disney World Resort is home to numerous hotels and resorts, however, the main attractions include four theme parks and Disney Springs, formerly Downtown Disney. The Magic Kingdom, Epcot, Disney’s Hollywood Studios, and Disney’s Animal Kingdom are the four theme parks that are located in Walt Disney World. Disney Springs is a downtown or town like area that features stores, restaurants, and other attractions. To learn more about Walt Disney World Resort, please visit the following pages. Please note that NavFile is not affiliated with Walt Disney World or The Walt Disney Company.